In his statement Cech said ‘this is my 20th season as a professional player and it has been 20 years since I signed my first professional contract so it feels like the right time to announce that I will retire”. Cech added “having played 15 years in the premier league and won every single trophy possible, I feel like I have achieved everything I set out to achieve” and pledged to continue working hard at Arsenal in order to win one more trophy and later see what life holds for him outside the pitch. The former Ex Czech republic’s international was in doubt in October 2006 when he required surgery for a skull fracture after a collision with Reading’s Stephen Hunt though he was left with wearing a head guard during games. Cech went on to win 13 trophies with the Stamford bridge club (Chelsea) including one champions league and for premier league titles. 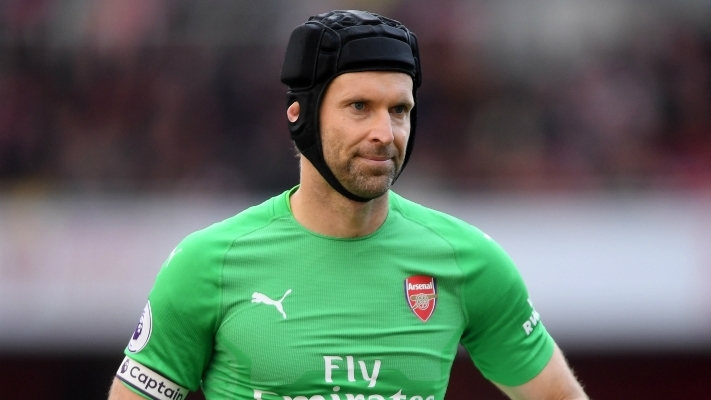 In a formal statement from Arsenal the Club stated “Cech Recently informed us of his decision and like all football fans we are sad about this, but completely understand and support Cech”. The gunners Club also added “For your consummate professionalism, for being the perfect role model for the 50 clean sheets, for, your integrity and for your inspiring work with the Arsenal foundation, we want to say thank you Petr Cech”.